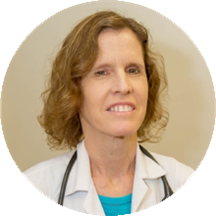 Sharon Cox is a diligent and compassionate internist and primary care doctor serving the Washington, D.C. community. She attended medical school and completed her residency in internal medicine at Drexel University in Philadelphia, Pennsylvania. Dr. Cox is part of Metro IPC/Capital Hill and is board certified in internal medicine by the American Board of Internal Medicine. She sees patients for illness, along with other common and specialized reasons. Dr. Cox is devoted to ensuring the longevity of her patients’ health and developing long-lasting relationships with them. She takes her time to understand symptoms and give correct diagnoses to ensure the continued health of all her patients. It was good. She was knowledgeable and very proffessional but it was her last day so was a little confused why she was seeing new patients. I was given the option of coming back on a different day to see someone that will be there in the future. Dr. Cox is a very good listener, so be sure to tell her exactly what you think might be wrong with you! She is very comfortable to talk and she listens to symptoms very carefully. On top of that she explains what medication needs to be given and why. Highly recommended ! Dr. Cox is very thorough and knowledgeable. She looks you in the eye as she speaks and it's easy to see that she really cares about your health. The only downside is the long wait - this has always been anissue. But given Dr. Cox will spend as much time with you as you need, it's understandable that it happens. I recently had a Sunday appointment with Dr. Cox. She is my primary doctor. She is always detail oriented and takes the time to read the record of her patients before walking into the exam room. I feel fortunate to have found this doctor. I would never give her up. My visit with Sharon Cox was very pleasant. She's pretty nice and accommodating. I really do like my provider...and my doc. Dr. Cox was very patient and took the time to answer all my questions. My visit would have been great had I not waited a hour and a half to be seen, was wondering what the point of making an appointment was. After that my appointment was fine. Dr. Cox is friendly and straight to the point. That works for me! Dr. Cox is my primary care physician. She remembers every detail of your previous visits and is always very thorough. I wish more doctors were like her. She is listed under nutritionist but she is only a primary care doctor. I didn't learn this until I arrived at the appointment. At the time of the visit, her staff told me that she should still be able to helpme with weight loss consultation but immediately once she entered the room she said she was unqualified to assist and that there is nothing she can do. I walked out of there with nothing even though I paid for the visit. Her manners were horrible and the experience was awful. I would never see her again. Dr. Cox was thorough and really took her time. The appointment didn’t feel rushed and she took the time to listen. I would highly recommended Dr. Cox. Dr. Cox is great! She is effective in explaining what she is doing in terms non-doctor's can easily understand, she seems genuinely interested in my wellbeing, and she remembered me even after a period of several months. Would totally recommend her to others! She seemed uninterested, and hurried, at first. She asked why I was there and when I began to explain my problem, she interrupted me by saying "It has been a long day, just give me two [symptoms]. Whichever is important toyou". I was stunned and felt like walking out, but I was feeling really bad physically. My visit did end on a good and friendly note with her. Dr Cox is very thorough and always helps to organize my complaints so that I feel heard and my issues are addressed. She practices evidence based medicine, and is open to questions I have based on my own research. She seemsto be a more introverted person with not a naturally warm, inviting demeanor; but it is clear that she has worked on her communication skills and is a good listener. I like this because I tend to be all over the place, and her calm, analytical approach is a good balance for me. She was thorough and asked good questions in trying to problem-solve the issues that I was dealing with. Dr. Cox is a wonderful doctor — very knowledgable, will answer questions and has great bedside manner. But the medical center she works for tends to overbook appointments, which causes a delay. I was in DC for a business trip and needed to see the doctor - not only was the clinic on Sunday, but they saw me right away when I arrived for my appointment. Everyone was friendly and helpful, and theclinic was very clean. Best "urgent care center" I've ever been in. This doctor is very good. She spends a good amount of time with her patients and answers questions well. Wait time was very minimal. Highly recommend! Dr. Cox is very professional with an excellent bedside manner. She takes the time to update herself on her patients before she enters the exam room. She listens and answers all questions without any signs of irritation that the questions were asked. Dr. Cox is the rare blend of expertise, professionalism, and amiability. From the get-go it was clear that she cared about her patients and their health. At my first appointment, she provided two prescriptions that really helped with my minorskin irritations - things that my previous physicians either hadn't noticed or cared to address. She is thorough in her questions and responses, and she never makes me feel stupid. In fact, her matter-of-fact and attentive manner makes me feel more comfortable to ask about procedures or even why certain things are done the way they are. This reassures me that she knows what she's doing and that I am being taken care of. I was very pleased with my visit with Dr. Cox, I was a little late because of trying to get a parking place, however, the front desk receptionist was outstanding. Dr. Cox and the nurse made my appointment very relaxing andmade recommendations for me to consider. She toke the time to listen to me and this was truly a very good experience. I will recommend her to anyone. EXCELLENT APPOINTMENT. Dr. Cox is extremely knowledgeable and answered all my questions thoroughly and accurately. She was very patient with me during the entire appointment and I never felt rushed at all. I would definitely recommend her to anyone looking for a primary care physician! Dr. Cox was incredibly attentive and gave me a since of security by giving the impression that she will do everything in her power to give me the best care and treatment possible and available. I booked my physical with Dr. Cox based on other Zoc Doc reviews, and they did not lead me astray! This was the most thorough, non rushed appointment I've had. She calmly asked questions to learn my medical history and answeredall of my questions, with great information and suggestions. It was honestly the most pleasant appointment I've had and for once I feel like I may finally have found a PCP who I will feel comfortable with and who pays attention to me, and not just words on a chart. Thank you Zoc Doc community! I think she was great!! Dr. Cox truly cares about her patients. She is thorough, caring, and has a great bedside manner. Although the wait was slightly long, I definitely recommend Dr. Cox. I chose her because of the other comments and reviews on ZocDoc and she did not disappoint! She was very nice, caring, and definitely went out of her way to listen to and address all of my concerns. I got there a little late due to the crazy morning rush-hour traffic, but Dr. Cox was able to see me anyways, and she was so helpful! I just moved to DC from a completely different area, one that was incrediblyunderserved from a medical perspective, and one in which doctors often didn't have the time to listen to any issues I had that were not immediately pressing. In Dr. Cox's case, however, this is so far from the truth! She listened and took the time to address issues that have been brewing but that I haven't been able to bring up with any doctor in years. I feel like she really cares, and like she really wants what's best for me, and that makes such a huge difference. She is thorough and conservative, but in a good way. Cares about the well-being if her patients and spent longer than average time with me p.
Dr. Cox is very attentive and helpful. She listened to me well and made me comfortable. I highly recommend her. Doctor Cox provided excellent service. She was patience in answering all of my questions and she left me feeling informed. I would recommend her and I will see her again. Dr. Cox was kind and professional - just what I was looking for - not an "alarmist" but, rather, practical and conservative in her approach. The staff was also very nice, but the wait time was ridiculous. After being put inthe room, I waited for more than forty minutes. My appointment was for 3:45 and I did not see the doctor until 4:45. That's a problem. Also, I was informed that the office would be moving in January - a minor inconvenience (it will be easily metro accessible) as part of the reason I went to this place was that it was so close to home and work. Dr Cox was great. She took a lot of time to ask me about my medical history and to answer my questions. She walked me the steps of my procedure and asked several times if I was doing ok.
Dr. Cox is professional, engaging and thorough. She always starts out by reviewing what happened during the last visit and takes time with each question or concern--fully addressing and giving options. Dr. Sharon Cox, MD has no appointments on Zocdoc right now.